Last year, Abundance Wimbledon helped to set up a new Abundance group in Southfields. It started off with an invitation from St Michael’s school to attend their summer fair. There we identified people interested in starting a fruit picking and sharing project in Soutfhields. People completed a questionnaire collecting details of fruit trees owners who may have surplus fruit and of people interested in fruit picking and sharing. The owners of eighteen trees (seven apple, five pear, three plum, one quince, one fig and one apricot) declared that they were happy to share their surplus fruit. 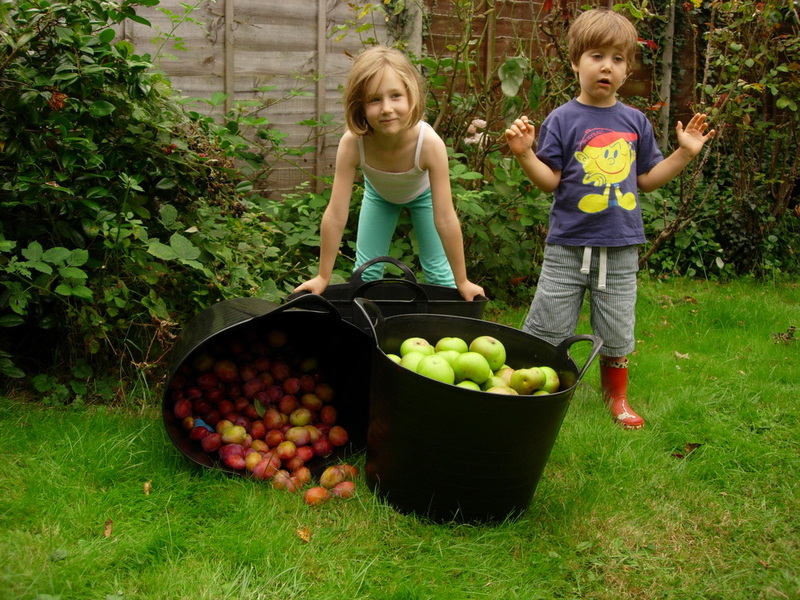 Sixteen local residents who did’t have fruit trees, or whose fruit trees are too young to produce yet, declared that they would like to be involved in picking, sharing and other activities enabling to use available local fruit. A meeting was organised to discuss the way forward - and then Southfield residents took the project forward from there! To find out more about Abundance Southfields, have a look at their wonderful website - HERE Or send an email to sharing@abundancesouthfields.com to join the email list or to get more information. We like helping too !